Kerem Erkan’s online generator form does and it offers a whole slew of options. If you are a fan of tech sites like Techcrunch, etc, or have worked with large design companies, you will probably already know that QR codes are taking the tech and design world by storm. The push for the use of the QR code is being driven by a new opportunity that is being referred to as context sensitive marketing. For further information and details, you might want to read the article, “Why the Best Online Marketing May Be Headed Offline” which goes into extensive detail as to how QR codes can be used for a business owner’s product’s marketing. In a previous post, I wrote about how you can incorporate QR designs into your business card design, as I have seen more and more print collateral provided with QR codes that led either to a business’ website or to a special online promotion. 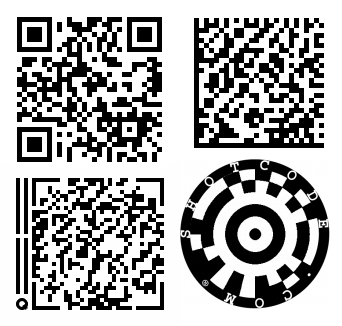 Another popular use for QR codes is to connect a user to the App Store via their Android smartphone or Iphone for the promotion and sale of web developer’s apps. While there are several websites offering this service, my problem was finding good QR code generator software that integrates with the Adobe design software that most designers use. Once you get beyond the basics in Adobe Photoshop, as a graphic designer you are always on the look- out for great Photoshop resources that will enhance your web designs or print media graphic designs for your customers and clients. So, finding a site that provides free high quality Photoshop Brushes, Background Patterns and Textures in order for you to utilize is like finding gold! 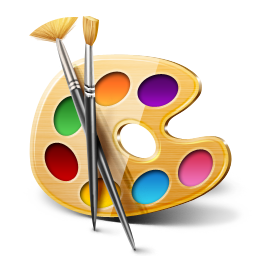 These tools will save you time in overall graphic production and assist you in designing professional and high quality graphic designs for web and print, and of course, even artwork. It’s a great boon to find these tools in a good economy, but it becomes even more vital in a tough one.